La-La Land Records, 20th Century Fox and Fox Music proudly present the world premiere release of renowned composer Thomas Newman’s (THE SHAWSHANK REDEMPTION, AMERICAN BEAUTY, SKYFALL) original motion picture score to the 1987 dramatic feature film LESS THAN ZERO, starring Andrew McCarthy, Jami Gertz and Robert Downey, Jr. and directed by Marek Kanievska. Mr. Newman’s sumptuous musical dreamscape makes its long-overdue debut with this release. 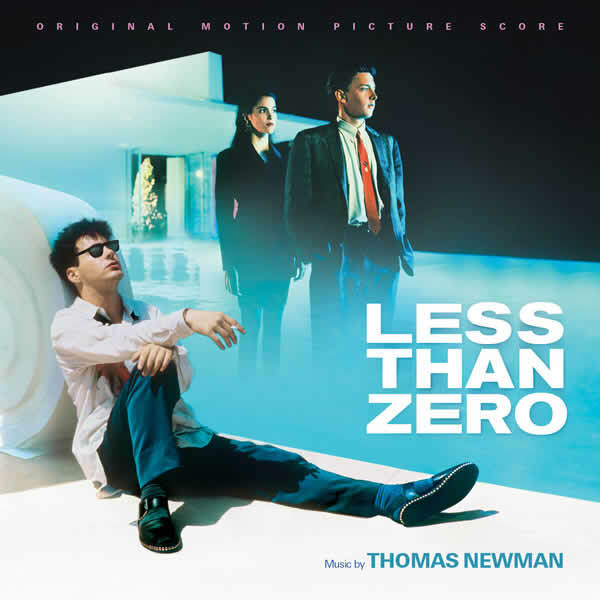 Beautiful, sad and haunting, LESS THAN ZERO is an early and notable entry in an incredible, ever-growing body of iconic film scores that have become permanently woven into our cinema culture. Supervised by the composer, produced for 20th Century Fox by Nick Redman and produced, edited and mastered for La-La Land Records by Mike Matessino, this special limited release of 1500 units includes exclusive liner notes by writer Julie Kirgo, a note from the composer, and sleek art direction by Jim Titus.